This week, we're exploring the Route 97! Each day, the Route 97 makes 33 trips between Chestnut Hill and SEPTA's Norristown Transportation Center On a typical weekday, the Route 97 carries 816 people and travels 536 miles. It makes 40 trips per weekday, 36 trips on Saturdays, and 28 on Sundays. The Route 97's service operates over a former Schuylkill Valley Line bus route to Conshohocken and Spring Mill. 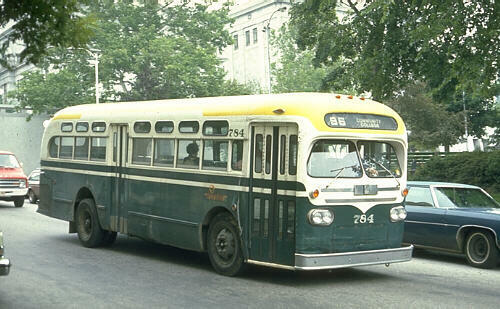 Schuylkill Valley Line buses operated in and around Norristown until the company was taken over by SEPTA in 1976. On March 7, 1977, the Route 97 began service as one SEPTA's five original Frontier Bus Routes. It 2005, the 97 was extended to Barren Hill and in 2011 it was extended the Chestnut Hill. The Route 97 makes connections to the Norristown High Speed Line, the Manayunk/Norristown Line, and seven different bus routes at Norristown Transportation Center. Popular destinations along this route include Chestnut Hill College, Woodmere Art Museum, and Morris Arboretum. Take the Route 97 weekend to see the Cherry Blossoms at Morris Arboretum! Whether it's to work, play, or anything in between, hop the Route 97 and let SEPTA do the driving!